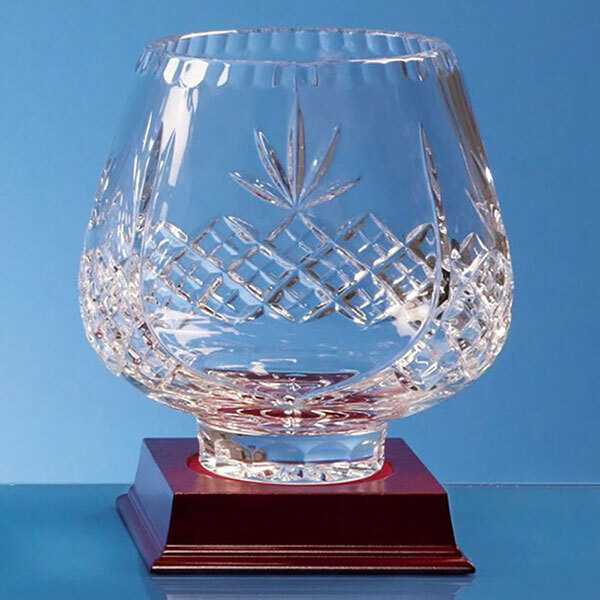 An attractive lead crystal glass tulip bowl with cut decoration on the body and a blank panel for engraving. These 13cm (5in) diameter bowls are offered with low, fixed cost text engraving, allowing you to create personalised gifts, commemorative items or recognition awards for a fixed fee regardless of the length of your inscription. Weight: 1.05kg. Height: 117mm. Diameter: 130mm.